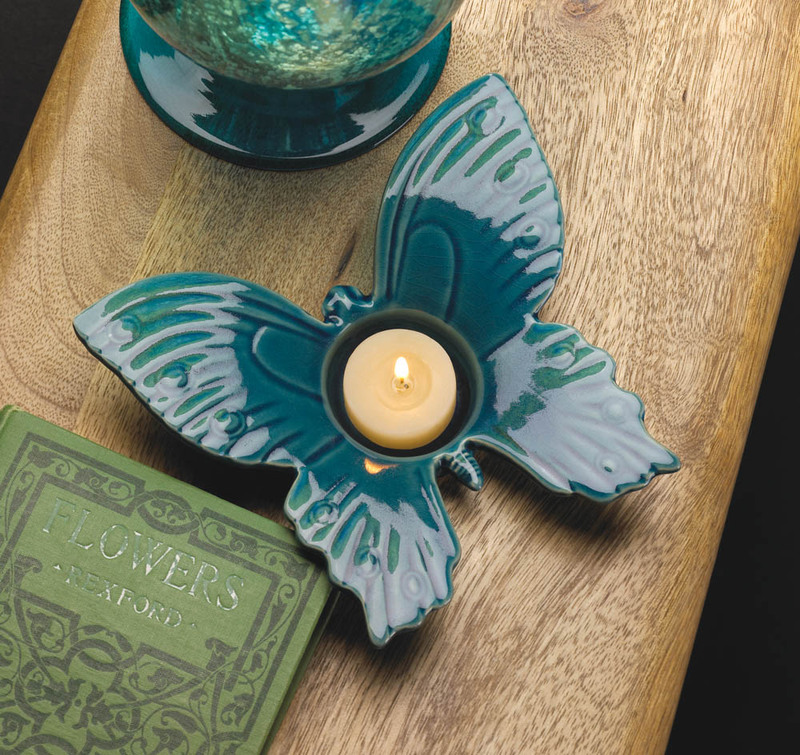 A delicately detailed stoneware butterfly spreads its wings to create the perfect space for the candle of your choice. 6 3/8" x 5 3/8" x 1 3/8" high. Stoneware.